Home price gains in Los Angeles slowed in February and prices in Orange County even dipped, continuing a months-long trend. 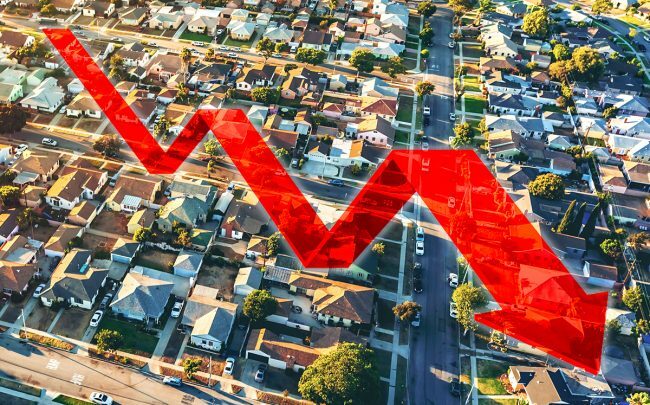 The median price of an existing home in Orange County dropped 1.6 percent on a yearly basis last month, marking the second decline in three months, according to California Association of Realtors data reported by the Los Angeles Daily News. There was also a 16.5 percent drop in sales over that period. The Greater L.A. metro area — which includes Orange County and the Inland Empire — saw a modest 1.4 percent gain in pricing, much less than the 5.7 percent average year-over-year gains witnessed last year. In L.A. County alone, the median home price rose 2.7 percent to $541,390, and sales dropped 10.9 percent. Southern California’s housing market has been one of the strongest performing markets in the country over the last several years, but it appears to have hit its upper limit last summer, at least in terms of price growth. And on Wednesday, partly in response to a weakening housing market, the Federal Reserve held the benchmark rate steady and indicated it would do the same through the end of the year. But there is some good news. Experts say a housing crash like the one seen preceding the financial crisis a decade ago isn’t likely because market fundamentals are stronger than they were before and during that period.